You are here: Home › Car Buying › What is a Certified Pre-Owned Car? 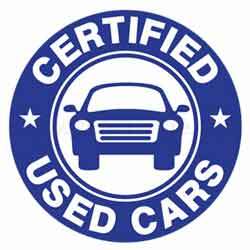 You have seen car dealer ads all the time that talk about certified cars, but what is a certified pre-owned car. 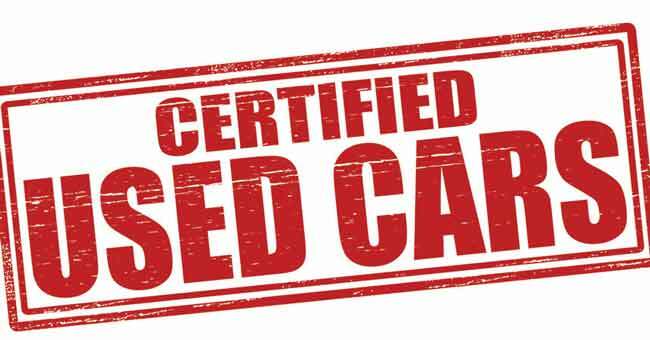 Car dealers throw about the word certified all the time in an effort to sell used cars, but not all certified cars are the same. Just because it says certified pre-owned on the window it doesn’t mean that you are buying a factory certified car. Most automakers have their own certified pre-owned car programs that are monitored and regulated by the factory. These vehicles must adhere to certain requirements in order to qualify for the program. 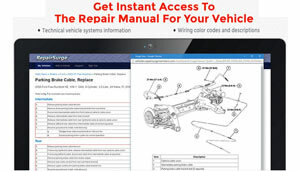 These programs are typically great programs for the used car buyer because of these requirements. Each certified pre-owned car must be thoroughly inspected by a technician that covers well over one hundred items. All of these touch points must be in reasonably good shape and still have a measureable and reasonable life expectancy. If any the parts or components don’t meet factory-approved standards they must be replaced with factory original parts. Practically everything from tires to windshield wipers and brakes to belts and hoses must be inspected and replaced if needed. The automaker is standing beyond these certified pre-owned cars by name and by providing a warranty. They don’t like taking chances that will cost them money or hurt their reputation. The history report on each vehicle must also meet certain standards that won’t allow major accidents, frame damage or flood damage. These vehicles will always have a clean title. If you are looking for a great used car that comes with a warranty that is backed the manufacturer a certified pre-owned car could be a great choice. You should know that there are many car dealers that have their own in-house certified pre-owned car program, but that doesn’t mean that it’s the same as a factory certified car. I am not saying that they are selling bad cars or junk and calling them certified, but I am saying that these cars have not met factory requirements for being certified. Some dealers choose not to participate in the factory program because strict regulations, but they may use the term certified to sell their used cars. These dealer programs are left to the discretion of their own standards rather than the factory standards, which may be questionable. These dealers will select certain vehicles and purchase warranties in order to provide you with a warranty. They now call these certified pre-owned cars, but the auto manufacturer does not back them. Instead a warranty company backs them. These dealers may still be offering great used cars, but don’t expect the quality that the factory requires in order to be a part of their CPO program. When you purchase a certified pre-owned car from a dealership you can expect certain benefits, but these tips will help you spot a fraud. When you buy a factory certified car you will receive documents stating that you are buying a certified car that is backed by the factory. Each car should include all the original options such as two keys, floor mats, original wheels and tires and properly sized and rated tires. The certified car should be equipped exactly as it was when it was sold new without deviations. There should be a thorough and complete description of your warranty and all work should be performed by a dealership of the same brand. In order to make sure you are buying a factor certified pre-owned car you should know that you could only buy a CPO car from a dealership that sells and services the same brand. You can find more details about factory certified pre-owned cars by visiting the respective automakers website. You find complete details that include vehicle inspection checklists and the requirements to become a CPO car.